Lutron Shades And Drapes - Technical Comfort, Inc. Your beautiful home would not be complete without window coverings, and there is no better way to do that than with Lutron. With Lutron’s shading and drapery systems, an important part of any Lutron home automation system, you can control the natural light coming into your home with infinite flexibility. Plus, your home will look better from the outside, help maintain your privacy, and lower your energy costs. Lutron shades and drapes can do it all. And while Lutron has a nearly un-ending selection of beautiful fabrics, opacities, textures and colors, if for some reason you don’t find that perfect look from Lutron, we have the ability to build your window coverings with the fabrics that you or your interior designer choose. That means we can always fulfill your wishes with Lutron. Lutron does more for your home than increase its beauty -- it makes living in your home much more convenient and enjoyable. Since Lutron’s shade and drapery systems are compatible with Lutron’s home control systems, including the RA2 Select, RadioRA2 and HomeWorksQS systems, you can coordinate your home’s atmosphere with a touch...or less. Control the natural light coming into your home with wireless or wall-mounted controls that match your decor. If a room has several shades and drapes that need to be controlled separately, Lutron’s four-group remote allows you the individual control you need. But if there is just one shade or drape in the room, or there are multiple treatments you want controlled together, Lutron’s Pico remote can do the job, whether hand-held, mounted on a small table-top pedestal, or mounted on the wall. Let’s not forget the infinite control you’ll have by controlling your entire Lutron home automation system from your smartphone or tablet. And if we integrate your Lutron system with Amazon’s Alexa, Google’s Home Assistant, or another compatible voice-controlled system, your shades and blinds go up with a few simple words. 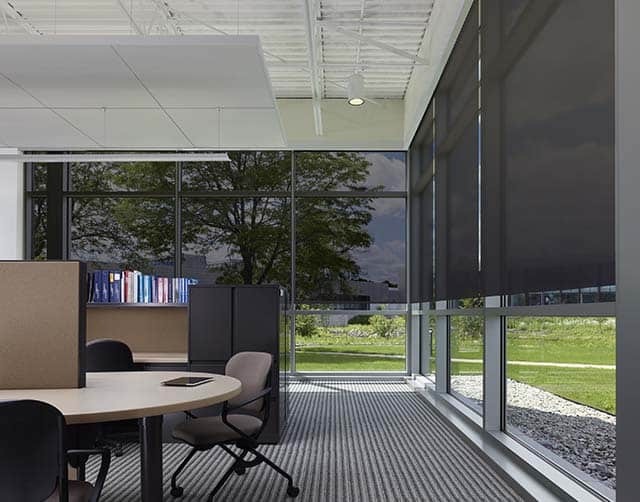 Of course, all of Lutron’s wired and wireless shade and drapery systems can be controlled even more effortlessly through our programming of schedules and triggers. Do you sometimes forget to lower the drapes at night? Never again, as we’ll program your system to automatically lower the drapes at a preset time, or along with the same single press of your Goodnight button. Would you like the drapes to slowly rise at daybreak? No problem. Would you like to blackout your entertainment room at movie time? Easily done. Do you want the home to secure itself when you leave? We can program Lutron’s Geofencing features to get that done for you. Your safety is important to us, you have a right to your privacy and to protect yourself from prying eyes. 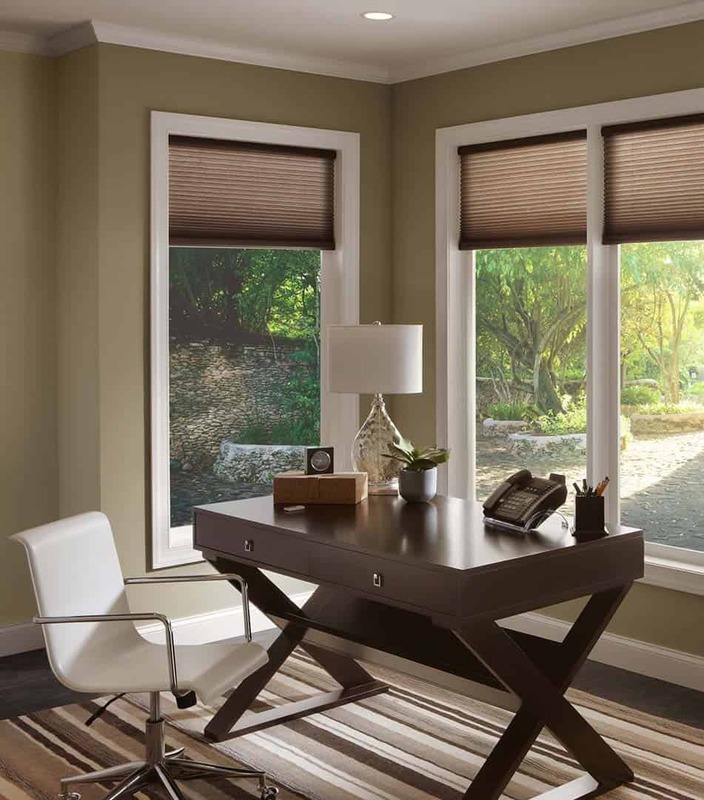 Manual shades and drapes can be difficult or inconvenient to open or close. With your Lutron shades and drapes closing at pre-set times, or with the simple press of a button, your privacy is preserved. Lutron also knows that the cords dangling from other brands of shades and drapes can be a hazard to children and pets alike. That’s why all of Lutron’s automated shades and drapes are cordless. 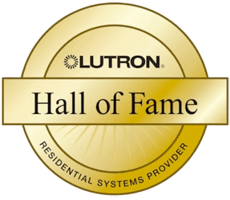 We all want to do our part to conserve energy, and Lutron does it best. When we design your home automation system, we’ll program your shades and drapes to raise and lower to strategically make the most (or least) of the sun’s rays. In the winter, the shades will rise to let the warm sun in, helping you save on heating costs. And in the summer, we’ll have those same shades lowered to block out the sun so you can run your A/C less. Add a Lutron or compatible temperature control system, and we can program even more flexibility and automation into your energy planning. Sivoia QS -- Lutron’s Gold Standard in wired window automation, is perfect for your new construction or open-walled retrofit project. Sivoia QS can control the entire Lutron family of automated window treatments including traditional drapery tracks, roller shades, horizontal sheer blinds, pleated shades, the Kirbé® vertical drapery system, tensioned shades, Roman shades, and fashion honeycomb shades. Sivoia QS Wireless -- This fully wireless system can also control the entire family of Lutron automated window treatments. It’s a perfect solution for retrofits and renovations because we don’t need to run any new control wiring. Lutron’s Clear Connect™ RF Technology integrates smoothly with Lutron’s lighting control systems, giving you total control of the light in any room in your home. Sivoia QS Triathlon -- This battery-powered system is the most fashionable, flexible and affordable motorized shading system available today. Shades and Drapes open and close silently, and the fully hidden batteries are not only simple to replace, but last up to 5 years. Great for retrofit projects. Let us help you design the perfect life-at-home experience with Lutron shades and drapes. Whichever Lutron system you select, we will design the perfect system for you, install it expertly, and program it to work beautifully, just as you imagined. If you’re planning a remodel or new construction project, contact us early. We’re always busy and in-demand, so please call us soon so we can schedule time for you. Our office is conveniently located in Laguna Niguel, close to all of Orange County and surrounding areas.